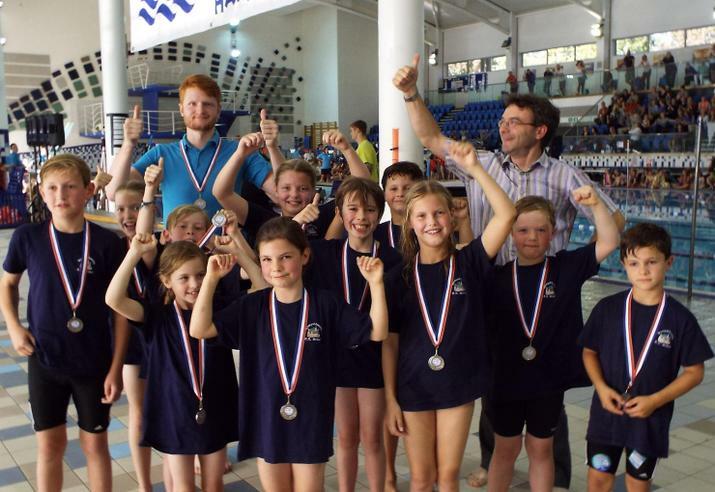 Hampsthwaite swimmers scooped silver in the 2016 Tolly Richardson swimming gala. Congratulations to our fantastic swimming team, who swept through each heat with speed and style to claim their silver medals. The excitement really built up through the afternoon, and it was wonderful to see the children's support, encouragement and congratulations for one another as each member of the team put their very best effort into their heats and relays. Hampsthwaite took 1st place in 7 of their separate heats and came 2nd in 5 others, to total a massive 171 points in the end - just 7 points behind the overall winners. The children were delighted to be presented with their silver medals, and the team will now go forward to the area finals on Tuesday 18th October. Thank you to all the Hydro staff for hosting such an enjoyable and exciting event, and very well done to all our amazing swimmers - we are really proud of you all.